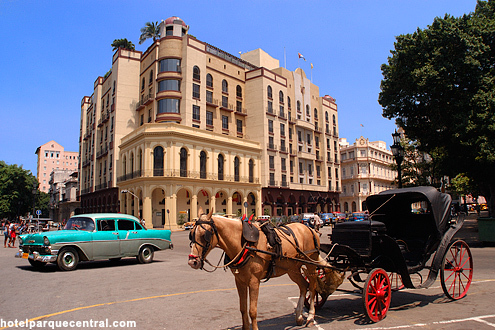 As a sign of modernity and distinction raises the Hotel Parque Central in the middle of heart of the legendary and historical center of the city of the Havana, leaving to the light some vestiges of other times, transformed into arcades that didn't want to give to the unshakable step of the time. 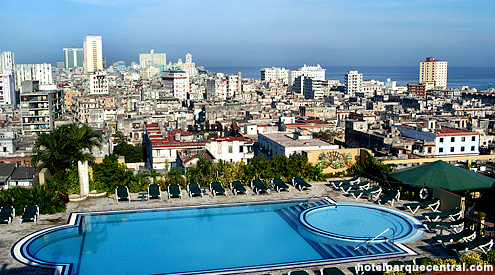 The Hotel Parque Central occupies the whole block of the street Neptune between the interceptions of Padro and Zulueta, in front of the Parque Central, thanks to its excellent location, the main tourist attractions of the old Havana are at little distance of the hotel, it is guarded by numerous famous constructions as The Capitol and Great Theater of Havana, known by their excellent ballet presentations. 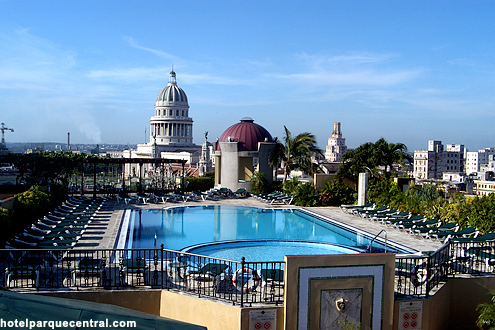 To alone some minutes of having traveled on foot of the Hotel Parque Central, they are The Cathedral of the Havana, areas of stores, the famous Pier, the Walk of the Grassland, birthplace of the cha-cha-cha, the Square of Weapons, the bar Florida, the favorite of Ernest Hemingway among other attractions. 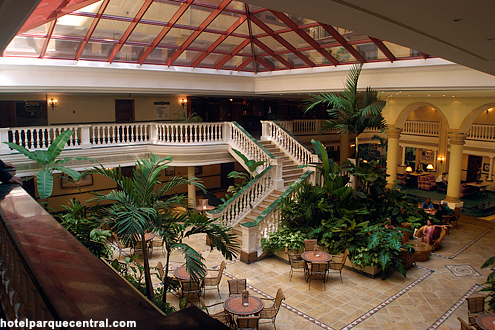 The structure of the Hotel Parque Central combines the elegance of the Spanish colonial style with facilities and modern services, very demanded for the industry of the leisure at world level. 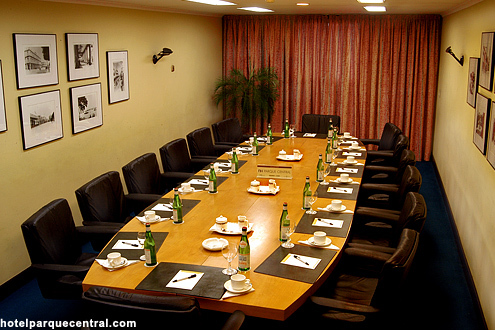 Allowing to insert the attractiveness of the modern tourism, of pleasure or business and the beauty of a full city of history and customs transform to the Hotel Parque Central into a wise election. 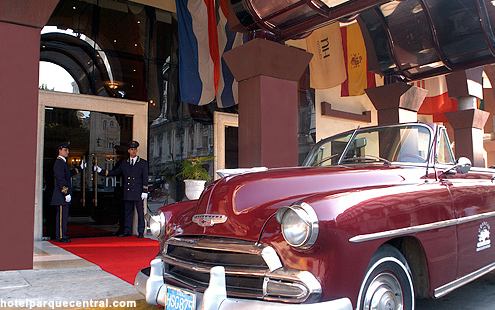 Welcome to my site dedicated to the famous and historical Hotel Parque Central. I am "poco a poco" researching and updating it with the aim to provide as complete as possible record of the hotel's ancient and recent history; bearing in mind that the goings-on today may one day be of historical interest. My site is NOT the official website of the current hotel operator, and is by no means endorsed by them; but I am grateful for their help with the research and supplying some of the photographs. ASAP I will try to have only my own photos taken with my nice new camera.